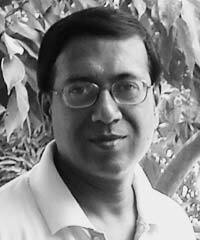 Joydeep Gupta is Director of web publications Third Pole and India Climate Dialogue. He writes on climate change, water, biodiversity, pollution, and sustainable development, and has covered global summits on environmental issues. Additionally, Gupta trains journalists to improve their environmental reporting practices. Gupta has reported for Indo-Asian News Service, the Statesman, Sunday Mail, and the Sunday Observer. He is Vice President of the Forum of Environmental Journalists in India.